The core of Sproutlings Day Care & Preschool is not the building, resources or amenities—it’s our people. Each person on staff supports our “one family” mission of providing inclusive, compassionate care. Whether it’s through active play on the floor or a kind hand of support in therapy, you can see their dedication in everything they do. The staff at Sproutlings is diverse and exceptionally qualified. 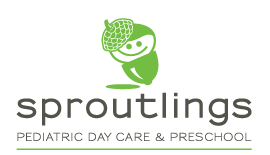 Sproutlings has nursing professionals, early childhood specialists and caregivers. A Masonic Homes Kentucky dietician creates weekly nutritious menus, including vegetarian, gluten-free and soy-free options.